Rex Tillerson’s State Department doesn’t appear to be acting much differently than his predecessor, John F. Kerry. Like Kerry, he at least appears to also have an anti-Israel bias and worse, appears to be accepting the Muslim Brotherhood as a legitimate organization. The New York Times must have been compelled to report on the conviction of one of their own, former U.S. Congresswoman Corrine Brown, but did their best to never mention that she is a Democrat. They can’t wait to announce when Republicans go up the river, but hid the fact that Brown was a liberal hack Dem. It was decided long ago that a former President will receive a pension. If this is the case, it should not be tied to whether or not they choose to cash in after they leave office. It should not be political. In Venezuela, protesters have taken to throwing anything they can when clashing with police. They’ve design a new weapon – called the poopootov cocktail. Being a Prepper in the land of plenty sometimes seems like utter foolishness yet my kids and I do it anyway. Now granted – we are not over-the-top, end of civilization Preppers who are preparing for a Zombie apocalypse. I just decided a few years ago to begin storing some things for emergencies. Every week I purchase one or two extra items and put them away. It’s rather startling what you can amass by just doing that. At times it also comes in rather handy when you forget something at the grocery store. Simply pull it from your own stock and your good – but don’t forget to replace it. My family personally prides itself on never running out of anything, so when we have to pull something out of storage, the penalty is it must be replaced with at least two items. So why do we do it? It’s because you never know. We aren’t prone to natural disasters in New England but we’ve had to utilize our supplies on more than one occasion due to snow storms and power outages. And despite the rosy picture painted by our current administration, we should all be concerned with the poor shape of our economy. It won’t take too much to push it over the edge. If by some miracle we are able to contain $20 trillion in debt and almost a quarter of a quadrillion in unfunded liability, then fine – we’ll use it ourselves or give it away. Last Saturday (the 9th) USA Today, or as Jay Severin calls it, Mcpaper, posted an article on the effective nationalization or government takeover of what they described as Venezuela’s equivalent to Best Buy. The chain stores name is “Daka” and has five stores located in Venezuela. USA Today reported that the president of Venezuela, Nicholas Hussein Maduro (just kidding. I added the Hussein) ordered a military “occupation” of the stores and commanded that the company charge its customers “fair” prices. Evidently shoppers rejoiced at the news. One customer looking for a plasma TV said, “It’s going to be so cheap”. She waited seven hours outside the Caracas store. I don’t think she was asked if she had adequate electricity to run her new TV, what with constant rolling blackouts thanks to Hugo Chavez’s nationalization of energy production and distribution. Many believe this is just a political stunt designed to boost Maduro’s sagging poll numbers running up to their December 8 election. As happens with such regimes that take over whole industries, shortages soon follow as it has in Venezuela. Shortages of basics such as toilet paper and milk, coupled with an inflation rate of over 54%. USA Today reports that their currency is expected to be devalued soon after the election, which will probably then lead to hyperinflation. This will lead to much higher prices and further shortages. 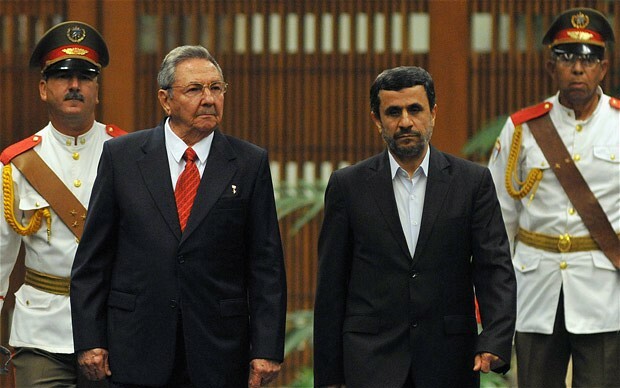 HAVANA – Iran’s President Mahmoud Ahmadinejad said on Thursday both Cuba-Iranian relations and Fidel Castro were in good shape after he met with the former Cuban leader and his younger brother President Raul Castro during a one-day visit to the communist island. “Our positions, versions, interpretations are alike, very close. We have been good friends, we are and will be, and we will be together forever. Long live Cuba,” Ahmadinejad said through an interpreter at the Havana airport as he departed for Ecuador, the final stop in his Latin American tour. Such shows of solidarity were the main purpose of Ahmadinejad’s trip to four leftist-led countries as Iran seeks support amid rising international opposition to its nuclear activities. He visited Venezuela and Nicaragua before coming to Cuba on Wednesday. The leader of the Islamic Republic said he discussed many different issues in a meeting with Fidel Castro, 85 and mostly retired, and that he was happy “to see commandant Fidel safe and sound.” A recent flurry of rumors on social media claimed that Castro had died. “We see that he follows all the national and international affairs in detail and with much pleasure,” he said. Cuban President Raul Castro told reporters his brother had met with Ahmadinejad for two hours and did most of the talking. The meeting was held on Wednesday. 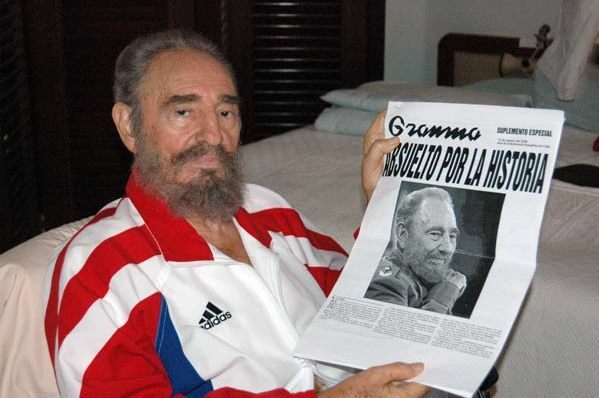 “It shows that he is very well, really very well,” said the younger Castro, who succeeded his brother as president four years ago and is himself 80. 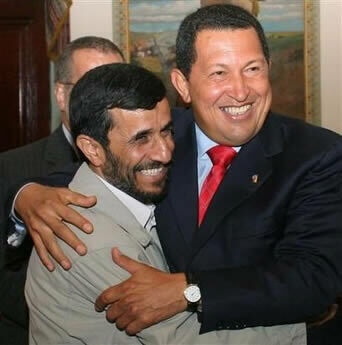 Communist Party newspaper Granma said Ahmadinejad and Raul Castro confirmed their commitment to, among other things, the peaceful use of nuclear energy. Ahmadinejad’s visit came as tensions escalated following the recent imposition of new US sanctions aimed at inflicting economic damage in hopes of forcing Iran to stop its nuclear program. Iran has said it is developing nuclear capabilities only for peaceful purposes, but the United States and its allies accuse it of wanting to create a nuclear weapon. 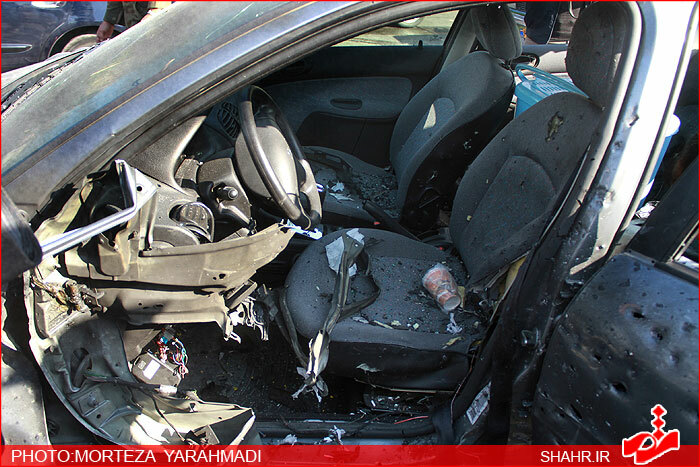 On Wednesday tensions rose further when an Iranian nuclear scientist was killed by a car bomb in Tehran that the Iranian government blamed on Israel and the United States. Is it wrong to Cheer? Israel declined to comment, while the United States denied any involvement. 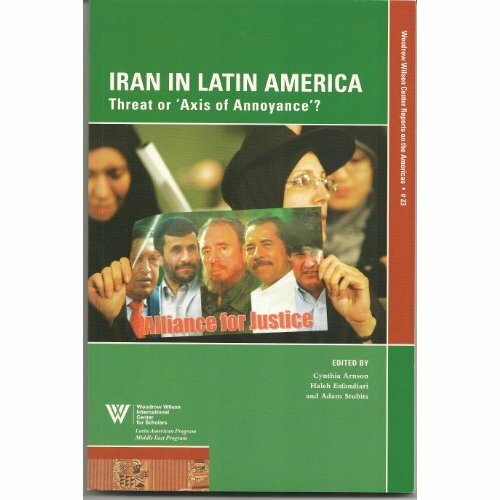 Ahmadinejad let government officials back in Tehran do the talking about the incident while he stuck to a relatively non-controversial script in Havana. In a speech at the University of Havana, he said Iran had done nothing to make enemies, denounced capitalism and called for a new world order based on justice and respect for all. Remember a few years ago, Obama said Iran & Venezuela were small & insignificant countries that pose no threat to the U.S.? Remember that? Could it be, he was wrong? Well, it appears there is a new Axis of Evil, or maybe just another. 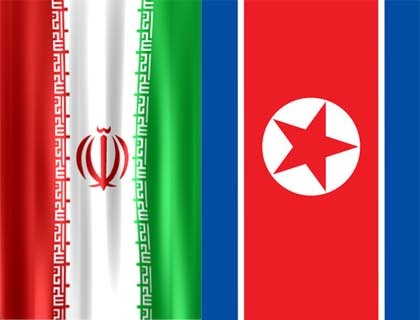 The new Axis being, North Korea, Iran & Venezuela. of UN sanctions, according to a confidential United Nations report obtained by Reuters on Saturday. The report also said that the illicit technology transfers had “trans-shipment through a neighboring third country.” That country was China, several diplomats told Reuters on condition of anonymity. 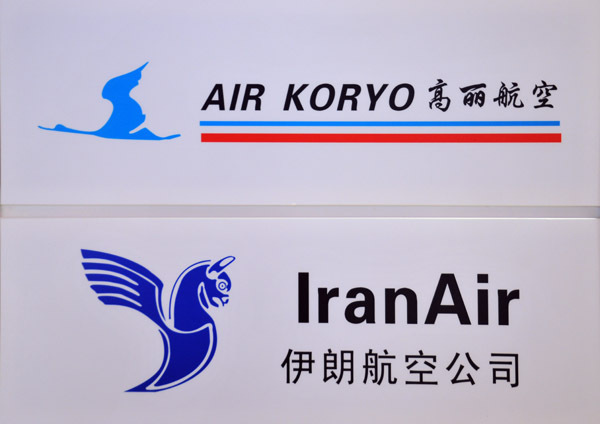 For the shipment of cargo, like arms and related materiel, whose illicit nature would become apparent on any cursory physical inspection, (North) Korea seems to prefer chartered cargo flights,” it said. Several Security Council diplomats said that China was unhappy about the report. Beijing has prevented the publication of expert panel reports on North Korea and Sudan in the past. Earlier this week, Russia took similar steps to suppress an equally damning expert panel report on Iran. 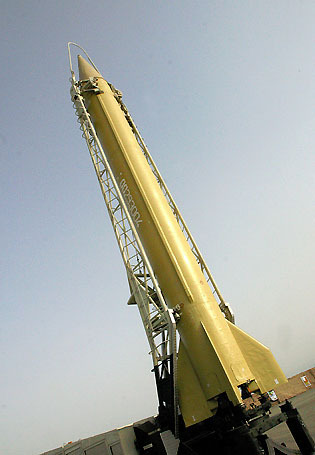 The Iranian government is moving forward with the construction of rocket launch bases in Venezuela. The Iranian military involvement in the project extends to bunker, barracks and watch tower construction. Twenty-meter deep rocket silos are planned. The cost of the Venezuelan military project is being paid for with Iranian oil revenue. The Iranians paid in cash for the preliminary phase of the project, which amounted to “dozens of millions” of dollars. The Paraguaná Peninsula is on the coast of Venezuela and is roughly 120 kilometers (about 75 miles) from America’s main South American partner, Colombia. The clandestine agreement between Venezuela and Iran would mean the Chavez government would fire rockets at Iran’s enemies should the Islamic Republic face military strikes. Not very clandestine anymore, I reckon. So, let’s see if I understand this. 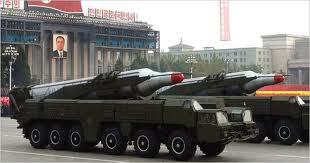 North Korea sells the missile technology to Iran. Iran contacts Venezuela. Chavez agrees to build a missile base that can strike Iran’s enemies, say us, if Iran is attacked by, say Israel. Like the Obama administration, I see so downside or threat to the above scenario. What could possibly go wrong? Just do what they want & no one gets hurt. It’s not as if that’s blackmail or anything. Oh wait, yes it is! It’s sunshine & lollipops with Obama at the helm.